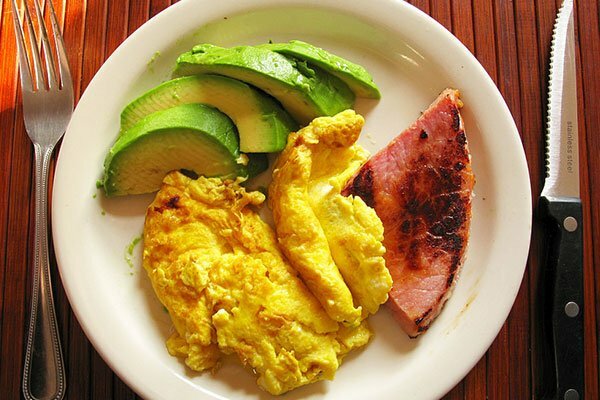 You’ve heard it 100 times… “Breakfast is the most important meal of the day.” Well, it is…if you want to burn fat and perform athletically. Oh, you want that…you really do! Here’s how it works: Your body has one job…to stay alive. And your body is stunningly good at its job. However, your body was built for conditions that existed 200,000 years ago. As far as your body knows it still lives in a cave, surrounded by hungry predators, during an ice age. While your brain gets the benefit of tons of sensory input, your body is stuck working with chemical/hormonal signals. When you decide to skip breakfast, your brain understands that you will eat later, because you have easy and ready access to food. BUT…from your body’s perspective, skipping breakfast says, “There is no food in the cave, and I don’t know when there will be more. Slow down that metabolism and conserve energy (FAT) so that there will be enough gas in the tank when it’s time to get food.” Not eating puts you into starvation/conservation metabolism. Conversely, when you eat a good breakfast (protein, fat, and fiber), you tell your body, “There is plenty of food, so go ahead to fire up the metabolism, burn fat for fuel, because we are going outside to get things done today.” While you’re at it, go ahead a put a teaspoon of butter or coconut oil in your coffee…preferably coconut oil. You’ve got to burn to shine, and you’ve got to eat to burn! Eat your breakfast and SHINE!